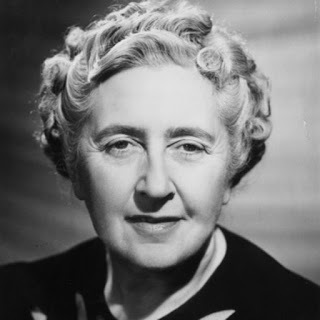 Agatha Christie is one of the most influential authors in my life. She is the first author of adult book I read through when I was a teenager (yeah, I leapt straight from children books to adult’s – we didn’t have Young Adult’s back then). Christie is also that author, whose books have transported me from fairy tales to reality. She has struck me with the notion that EVERY single person can commit murder – it’s not about criminals or gangster, it’s about us. Killing another human being is just a decision – it’s as simple, for example, as deciding to shop or not to shop today. If you think it’s possible, and if you really need to buy something, then you just go on. Just like that. And that is horrifying for my younger self! Because of that influence, Agatha Christie becomes a very important literary figure of me. I have read a lot of her books – all of Hercule Poirot’s and most of the others – during my youth. Actually I never keep track of which books I have read and which I have not; and I have forgotten most of the stories. So, when I found this Agatha Christie Perpetual Reading Challenge at Robin @ Read 52 Books in 52 Weeks, I thought: Why, this is a clear sign that I must reread all her books (and read ones I haven’t)! There is no time limit, so no pressure. Indeed, if I read, let’s say, three or four books a year, with her almost 100 books, I’ll need 30 years to read all! Whew… it’s perpetual indeed! Are you Agatha Christie’s fan too? Have you read a lot of her books? Good luck on your AC reading challenge! This is a really cool challenge. Rereading is in many ways an essential part of reading so I think rereading these books is a good thing. My wife is an Agatha Christie fan. I have been meaning to delve into her works for awhile. Agree, Brian! Rereading often reveals gems that are hidden from our first reading. All classics need to be reread to get those gems! What a great challenge! I think I have read *most* of these, but some I have never seen or heard of. I kind of like the Westmacott titles, they are oddballs. Absent in the Spring is particularly memorable. Same here... I have never heard of some titles. But although I have read most of them, I only remember them vaguely (excpeting the memorable And Then There Were None or The Murder of Roger Ackroyd). It is indeed the perfect time to read them again. That’s a long list! Thank goodness they’re generally quick reads. Nice way to break up the reading—throw in an AC from time to time! Exactly what I have in mind! It provides perfect choices after some difficult readings!